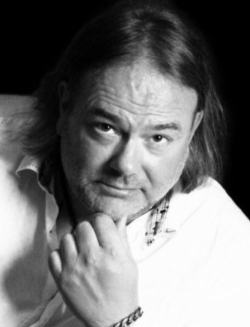 Biography: Carsten is the founder and creative director of Astheimer Design, a world-class automotive design consultancy helping to give global clients – including Bentley, Jaguar, Land Rover, Nissan and Ferrari – a competitive advantage through design. Carsten has two BSc degrees, one in Mechanical Engineering and one in Transportation Design from Art Center Pasadena. He had work experience at the Volkswagen Group in California, and then spent 15 years in Turin, where he led one of the studios at Pininfarina. He then became design director for the Brunswick Group, a leader in the marine industry. Synopsis: The automotive industry is at its most significant crossroads in the last 100 years, as several key factors are creating a perfect storm of change: the maturation of new technologies, environmental issues, government regulation, congestion, commonization of platforms, and the opening up of the startup economy. These changes are creating new challenges and opportunities for the automotive industry. The companies, governments and associations with the vision to harness these opportunities and satisfy the needs and desires of customers will be the new leaders in the next chapter in automotive history. Biography: Arun works on research projects that smooth the way that people and automated systems interact and communicate with each other. Previously he worked for Semcon, where he executed HMI projects in close collaboration with automotive clients. He also has international experience, leading industrial design teams in Austria, Italy and India. Arun holds a master’s degree in Human Factors from Loughborough University and a master’s degree in Industrial Design from the Indian Institute of Technology. Synopsis: The rise of autonomy in vehicles will change the way we interact with the steering wheel. Depending on the autonomy level, the interaction with the steering wheel could be simpler or even more complex. The presentation will discuss opportunities for novel vehicle-driver interaction with the steering wheel that could enhance the future interaction design on the wheel. Additionally, the presentation will address the possibility to integrate driver state sensing, which could aid adaptive interfaces to enhance driving experience in the future. Future steering wheels pave the way for new interaction possibilities and intelligence. Biography: Peter is the founder of beyond HMI, a company that focuses on creating knowledge about humans in autonomous driving, HMI concepts, usability and user experience for the automotive industry. 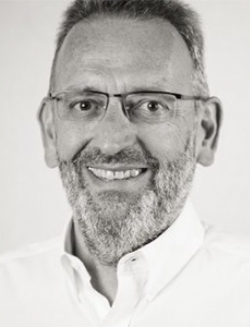 Until 2015 Peter was a director at TES Electronic Solutions GmbH. During his 12 years with Harman Automotive, he created HMIs for various automotive OEMs. He holds a Dr.-Ing. degree in Human Factors Engineering. Panel Discussion - How many levels of automation can a driver handle? Biography: Peter is the founder of beyond HMI, a company focused on creating knowledge about humans in autonomous driving, HMI concepts, usability and user experience for the automotive industry. 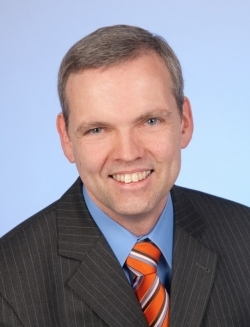 Until 2015 Peter was a director at TES Electronic Solutions GmbH. During his 12 years with Harman Automotive, he created HMIs for various automotive OEMs. He holds a Dr.-Ing. degree in Human Factors Engineering. Synopsis: In this focused presentation the relationship between humans, with all their genetic heritage, and autonomous driving will be presented. Points to discuss are: anthropology – what makes a human human, the core differentiation; wrap up – the one-slide human history; psychology – human cognition and information processing; driving – how many levels of autonomy can a human distinguish and control; identification – the human factors issues connected to the different levels of autonomous driving; solutions – what we can do, how today's HMI trends reflect the needs; latest trends – a look at automotive HMIs at the CES 2019. Biography: Wolfgang studied mathematics and received a doctorate in Machine Learning at the University of Osnabrück in 1997. He was a postdoc at the University of Würzburg and worked for Daimler R&D from 2001 in the field of driver observation. Since 2018 he has been lead engineer and consultant for ADAS systems at CMORE Automotive. 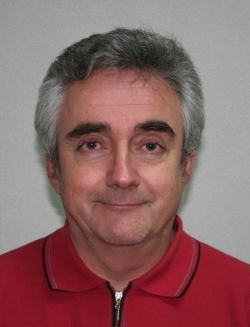 Wolfgang has long experience in driver state monitoring and driver monitoring systems. For instance, he developed the algorithms for the Mercedes Attention Assist. At CMORE Automotive he is responsible for ground truth systems for driver monitoring. Synopsis: It sounds like a paradox, but autonomous driving is the enabler for driver monitoring systems in mass-production vehicles. To reach high and full automation (Levels 4 and 5), conditional automation (Level 3) must be established. To guarantee that the driver is able to take over responsibility, inattentiveness and sleepiness must be detected. This can only be done by a driver monitoring system. CMORE is a global partner for the validation of driver monitoring systems (DMS) including: ground truth systems concepts, ground truth systems development and setup, ground truth system integration into the vehicle, data collection. Biography: Joscha studied automotive and transport design at Coventry University and is subsequently undertaking a PhD focusing on the passenger experience and comfort in driverless pods. Nearing the completion of the research work, he is now preparing to tackle new projects and create new concepts. Synopsis: Driverless pods are on the verge of becoming a reality accessible to the wide public as part of public transportation systems. However, the user experience and comfort are often overlooked in these vehicles. We therefore proposed a comfort model for driverless pods, which was then used as a basis for the design of a four-seater driverless pod. The design was then used for a number of user evaluations, with the final one being a mixed reality (MR) setup. For this setup, a traditional ergonomic buck and MR were combined to conduct participant-led ergonomic and design evaluations of the interior. In this setup, participants moved freely through a virtual environment and experienced the vehicle as part of an interactive simulation that included an animated journey across a fictional technology park. The subsequent study with 100 participants from the general public using the MiCar in the MR looks into the response to the design in detail, which then led to a validation of the proposed comfort model introduced at the beginning. That study is presented here, along with an outline of the build of the mixed reality. 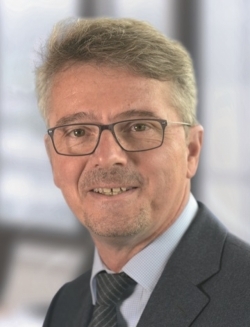 Biography: Friedrich is responsible for heading up projects in the field of human-machine interaction, including HMI for autonomous driving, V2V communication, automotive connectivity and BEVs in the advanced engineering department at Daimler Trucks. He has a background in animation, photography and design, and completed his diploma in Industrial Design at the Stuttgart State Academy of Applied Arts in 2012. Synopsis: How can VR help in user-centered interior and HMI developments? The presentation will discuss a new VR tool for qualitative user research. It will provide insights into the importance of context in qualitative questionnaires with naive respondents, and will also explore the silent trucker majority: why mobility is important in trucker-centered HMI developments. The presentation will also discuss cost-sensitive capital goods: user-centric design on a budget. 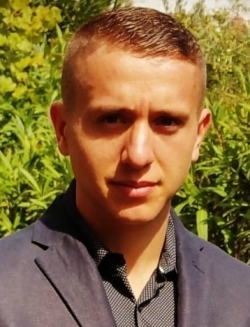 Biography: Jérôme has been product marketing engineer at ESI Group since August 2018. Previously, during his internship, he worked as a numerical engineer on ESI's Virtual Seat Solution software. Jérôme earned an engineering degree in Modeling and Fluid Structure Computation from SEATECH Engineering School in 2018. He also has a research master's degree in Materials Sciences and Engineering, with majors in Materials Physic, Mechanics and Numerical Modeling from CEMEF Mines ParisTech. Synopsis: With the advent of autonomous vehicles, the interior layout will be completely rethought, and interior components will have to evolve. For example, the fact that seats could move about and swivel makes the usual static climate systems, and some safety equipment, inefficient. Moreover, new materials and thermal devices will be added to seats. Checking static seating and thermal performance in different layouts with real prototypes could be very long and expensive. An alternative approach is to iterate during the conception phase with virtual prototypes. This paper will give examples of how this approach can be applied to interior thermal management and safety. Biography: Dr Bohnenberger studied computer science and artificial intelligence at Saarland University. After his PhD in Human-Machine Interaction, he joined the HMI lab at Volkswagen Research. Later, he became technical project manager for the second generation of the Touareg SUV. Dr Bohnenberger joined Faurecia Interior Systems in 2010. 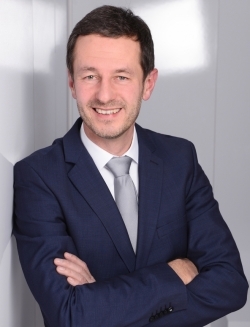 In his role as marketing director he takes care of Faurecia's marketing activities that support the business with German car manufacturers. 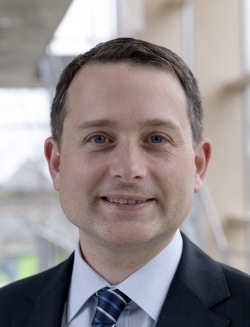 Moreover, he is in charge of end-consumer-related market research for Faurecia's Cockpit of the Future technologies and innovations. Synopsis: About three years ago, Faurecia started to intensify its efforts to meet the requirements of the CASE mega-trends. Connectivity, autonomous driving, shared mobility and electrification are the four well-known drivers of the transformation process, which Faurecia is currently undergoing together with the whole automotive industry. Learn about cutting-edge ‘Cockpit of the Future’ technologies and innovations that will enable amazing user experiences in the CASE context. Take a look at the challenges of the transformation process, from the perspective of one of the largest automotive suppliers, and see how Faurecia managed to overcome the transformation roadblocks. 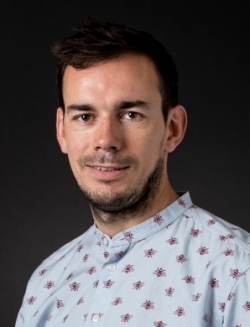 Biography: Simon is responsible for sales and business development at FlexEnable and has led the successful engagement of lead customers for flexible displays and sensors in a range of applications and markets including automotive. Previous roles include VP sales and marketing at Liquivista (now part of Amazon), VP of product development at Plastic Logic, and business and innovation development director at Dow Corning. Simon has a degree in Electronics Engineering from the University of Sheffield and an MBA from Henley Management College. He is an experienced speaker and has spoken at numerous events around the world. Synopsis: Almost every new car today has a flat, rectangular satnav or infotainment screen dominating the central console. These LCD screens are getting bigger and bigger and are often the only flat surfaces left in the vehicle, disrupting the form and flow of the interior space and limiting ergonomic options for designers. So why not replace these flat panel displays with something more aesthetically pleasing, that still offers the same visibility and functionality without creating design ‘dead spots’ in the dashboard? This talk will discuss a new plastic display technology known as Organic Liquid Crystal Display, its performance and in-vehicle applications. Biography: Prof. Dr.-Ing. Frank Ole Flemisch started as an aerospace engineer specialized in systems engineering. He spent many years in research on assistance systems and automation at the University of Munich, NASA and DLR, and served as a technical expert in ISO TC204. He and his team, together with partners from academia and industry, coined the terms 'highly automated driving' and 'cooperative automation'. 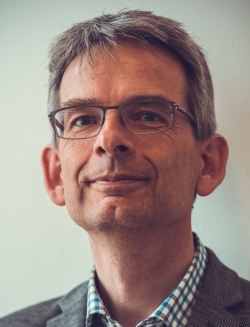 Since 2011 he has led the department of human system integration at the Fraunhofer FKIE institute near Bonn. 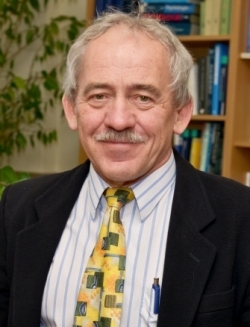 He is a professor of human systems integration at RWTH Aachen University, Germany, and a member of the NATO-STO Human Factors and Medicine Panel. Synopsis: The presentation will summarize the concept and the results of the BMBF Vorreiter project, in which a small consortium of universities and suppliers developed a revolutionary way of controlling a partially and highly automated vehicle, which is also compatible with today's control of manually driven and assisted vehicles. The idea was born at the Autonomous Vehicle Conference in Stuttgart four years ago. It includes pushing and stroking gestures similar to a rider-horse interaction, and is applied to a steering wheel and an unconventional device. First simulator results will be shown. Biography: Dr.-Ing. Dipl.-Psych. 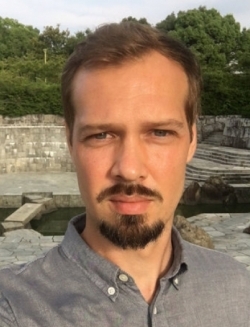 Frederik Diederichs is human factors senior researcher on automotive human-machine interfaces, automated driving and interior UX. 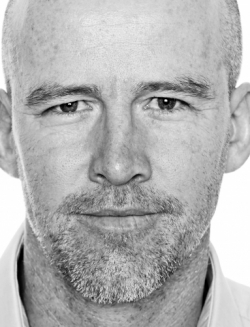 His work and publication experience spans from testing driver assistance systems to designing the interior UX of highly and fully automated cars. He has participated in and coordinated more than 10 consortia projects, and numerous studies with OEMs and Tier 1s. He is a consultant for the German Government and European Commission. 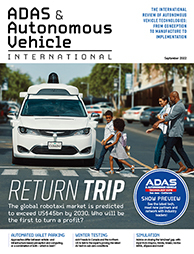 Synopsis: SAE, NHTSA, BAST and more: definitions of automated driving put the focus on system performance. But random drivers will not be able to distinguish five or more levels of automation. Soon vehicles will offer driverless route sections (Level 4) in between route sections where the driver is responsible (Level 3-0). Design for mode awareness requires a new definition of the driver role and responsibility from a human point of view. 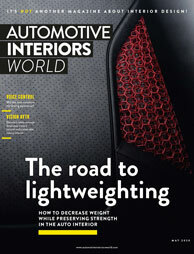 New interior elements emerging in passenger cars and trucks can support HMI for mode awareness and safe transitions. Automation also plays an important role as an HMI element. The presentation will provide an ambitious outlook on a human-centered mobile future. Biography: Manuel studied Computer Science at the Karlsruhe Institute of Technology (KIT). 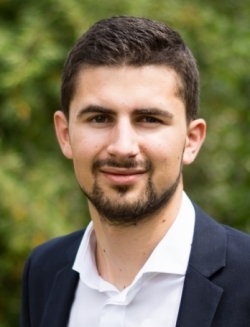 He is now a research assistant at the Fraunhofer IOSB in Karlsruhe, working on computer vision systems for human-computer interaction, such as head pose estimation from depth data and eye tracking. He is currently writing a PhD thesis on driver monitoring using body pose estimation and action recognition for automated cars. Synopsis: The presentation will discuss body pose estimation, interaction recognition, activity classification and handover time modeling. Biography: Meike is head of the human factors department and acting head of the testing department at the Institute of Transportation Systems of the German Aerospace Center. She is also an associate professor in the Faculty of Life Sciences at the Technical University of Braunschweig, Germany. Meike studied psychology at Mannheim University (Germany) and Carleton University (Canada). After she received her PhD in 2008, she became a postdoctoral researcher at Heidelberg University, where she established the Adaptive Human-Technology Systems research group. Since 2010 she has been at the German Aerospace Center, where she first acted as a researcher and project manager at the Institute of Flight Guidance and then became leader of the Driver Cognition and Modelling group at the Institute of Transportation Systems. In 2015 she became head of the human factors department. Meike has written more than 70 journal articles and peer-reviewed papers in international conference proceedings. 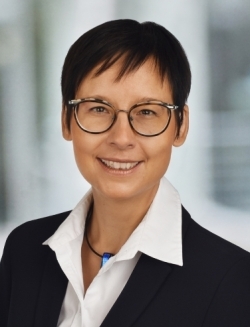 She is also a member of the German Psychological Society, the Human Factors and Ergonomics Society, and the Technical Committee on Human-Machine Systems of the International Federation of Automatic Control (IFAC). Her research interests are in human state identification and prediction, user needs, human performance and human-technology interaction. Synopsis: The introduction of autonomous cars on European roads is expected to improve road safety. This is why these cars need to outperform human drivers. For such comparisons, a definition of human performance in traffic and a methodology for its assessment need to be available. Within the scope of this presentation, such a definition and a methodology will be introduced and discussed. Moreover, the presentation will look at which variables influence human performance in traffic and how empathic system design can avoid the (negative) impact of these variables on human performance. Biography: Rashmi is an award-winning technologist and leader with over 20 years' experience. 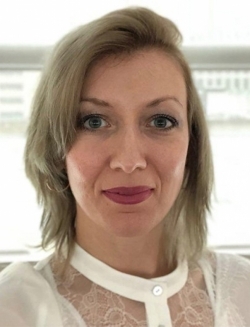 She is currently senior director, global accounts, early customer engagement for automotive business at Harman/Samsung, responsible for product go-to-market strategy to address new and emerging business models and a cross-divisional product portfolio. She oversees and cultivates client relationships while driving technical knowledge and strategy across business units to bring unique new products and experiences to the market. Synopsis: Studies show that most users of advanced driver assist features don't understand the limitations of the technology, leading to a degree of mistrust. Harman studies show that trust and transparency are key factors for human-machine collaboration leading to autonomous driving. A user-focused approach enables user confidence and empowers users to make better choices. This is imperative as we transition from a ‘minimizing driver distraction’ philosophy toward ‘maximizing driver attention’. Harman will showcase a new canvas for designers to create a collaborative human-machine interface, including AR and VR to empower users to develop trust and understanding of technology for an autonomous world. Biography: Rashmi is an award-winning technologist and leader with over 20 years' experience. She is currently global head, advanced user experience, responsible for technology and go-to-market strategy to drive breakthrough user experiences into new pursuits and product platforms. She is focused on combining cutting-edge technologies with advanced UX design and human-machine interactions. 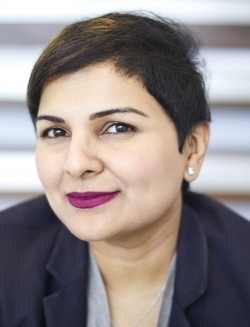 Rashmi has over 20 years' technology and leadership experience and was most recently at Apple Inc, focused on technology and strategy for iPhones. Biography: Sofia is currently focused on autonomous vehicle user experience and transportation interior design at HFM in Germany. This includes definition of virtual reality interior designs and concept development for highly automated vehicle platforms– Motionboard. Prior to working at HFM, Sofia studied interaction and user experience design at FH Joanneum in Graz, Austria and at the College for Creative Studies in Detroit, USA. Before that, she studied transportation interior design at the University of Reutlingen in Germany. She began her career at Daimler AG in Sindelfingen, Daimler Trucks North America in Portland, and Robert Bosch GmbH in Leinfelden. Synopsis: Hanseatische Fahrzeug Manufaktur GmbH (HFM) is an engineering company that provides highly automated and electric technology solutions. Its products include Motionboard, an accessible and modular platform for custom use cases including the definition of interior designs for special customer requests. The company works with its customers to create different interior concepts by demonstrating some predefined interior solutions in virtual reality and recreating these together, working on the interior package in real time. In the very early design development stages, HFM considers accessible solutions so as to include as many users as possible in the AV concepts. 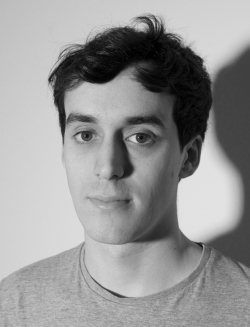 Biography: Emanuel is the founder and CEO of Humain, a UX design agency based in Cologne. After spending some years tackling several UX-related topics for a big German car maker, he took matters into his own hands in 2015. Today Humain is designing and implementing concepts and prototypes for almost all Germany-based car manufacturers. Cars drive themselves. Now, what drives UX? Synopsis: With the rise of autonomous cars, the questions around UX seem, at first glance, to be pretty easy to answer. Without the responsibility of steering the car and watching the road, a bright future awaits. Just lean back and relax inside a comfortable cocoon full of entertainment marvels. Assuming the passenger UX more or less solved, a whole new set of challenges appears on the horizon. Let us take a step back and check if there is more to it. How is a new autonomous actor to be integrated into a human world? Biography: Following a Masters degree in Transport Design, John worked in an unusually wide range of disciplines in aviation, including positions as an airline’s Head of Product, for a manufacturing group designing aircraft seats and galleys, and for a design consultancy. John shares responsibility with Tim Manson for JPA London’s Transport and Product offering, and brings experience in both aviation and automotive to his passion for transport design. John has created designs for Singapore Airlines, brussels airlines, Cathay Pacific, Gulf Air, flydubai, Dovetail, Kingfisher and Airbus. Together with his passion for innovation and creativity, his diverse expertise enables him to offer an industry-wide perspective even on the most complex projects. John is a regular contributor to a number of airline industry publications. Synopsis: The convergence of user experiences between autonomous automotive and aviation is increasingly highlighted. The risk of being overtaken by parallel industries that seem to have a better understanding of this sector remains. Although we can begin to imagine how this can impact Level 5 autonomy, what are the steps to take toward this with nearer-term vehicles? The presentation will discuss lessons from the aviation sector, both from a design and a materials perspective. Biography: Jaime is founder and CEO of Mormedi, a strategic design and innovation consultancy. He studied industrial design at the Art Center College of Design in Switzerland and is one of the best-known designers in Spain, having won multiple international awards as well as the prestigious National Design Award in 2015. Jaime founded Mormedi in Madrid in 1998. The company expanded its presence to Japan in 2007 and London in 2018. It works across industries including financial services, smart retail, and next-generation transportation and mobility. Synopsis: Although most experts predict that AVs will eventually overtake traditional vehicles, there are still many unknowns regarding use cases and how these may differ between different contexts and countries. What are the jobs to be done? In a world where cost and convenience become the key decision factors, what happens to brand and differentiation? What will be the services that will generate value for passengers and providers? How will these needs influence the design of the HMI, exterior and interior design? In order to reduce uncertainty, deep customer knowledge and the ability to design for real needs will be key. 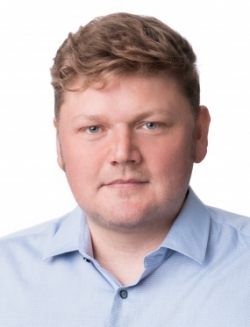 Biography: Michael is innovation manger in Nuance’s automotive division, where he drives some of the company’s key efforts to make its automotive solutions smarter. For the last decade he has worked in various functions on a broad range of AI technologies, with a strong focus on natural language processing and machine learning. He holds a PhD from the Institute for Language, Cognition and Computation at the University of Edinburgh. Synopsis: In this talk we will outline a few key concepts regarding the interaction between autonomous vehicles and their occupants. We will discuss speech as a central modality of user/car interactions and lay out how it will evolve over the next years. We will also present UX research and look at demo cars with more multi-modal experiences, for example integrating gesture and gaze control. Furthermore, we show how emotion recognition technologies can help an automotive assistant better understand a user’s mood and their cognitive state, thus creating a more personalized and pleasant in-car experience. Biography: Dr Nils Lenke has 20+ years' experience in AI-based technologies, having held various positions at Philips Speech Processing, ScanSoft and Nuance Communications. 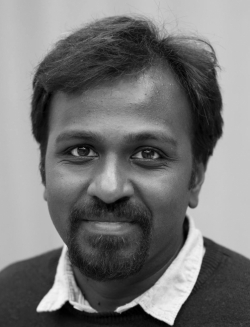 He holds an MA in Communication Research, a degree in Computer Science, an MSc in Environment Sciences and a PhD in AI. He has also published several papers and 11 patents and is a regular speaker at major events, including the 2018 edition of this symposium. 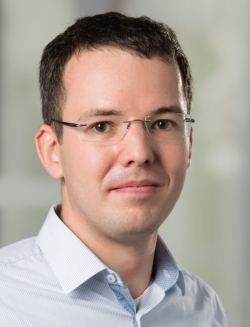 In addition to his role at Nuance, Nils is a supervisory board member of DFKI, the German AI research center. Synopsis: The presentation will cover two new concepts for 'robo-taxi' passengers. Using gaze detection, a 3D model of the environment and voice interaction, passengers will be able to negotiate changes in their trips by saying things like, "Let me out at that ATM and pick me up in five minutes". And using new glass technology, debuted at CES 2019, the windshield and windows of the vehicle will become fully functional displays for interaction and augmented reality, visible to everyone (not just the driver as in HUD solutions). The presentation will include results from usability studies on both technologies. 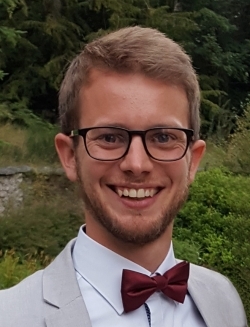 Biography: Jonny studied Automotive & Transport Design at Coventry University, where he picked up a fascination for the new and distinct opportunities that could arise from the advent of electric and autonomous vehicle technology. From there he undertook a position within Jaguar Land Rover’s design research team, working on a range of new mobility concepts over the course of three years. For the last year he has been a designer at Seymourpowell, where he has worked primarily on an eclectic mix of future mobility projects. 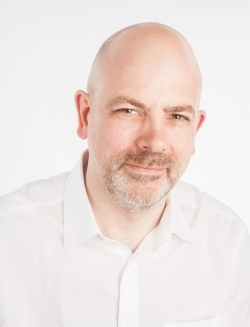 He has received wide acclaim for his thinking and concept development in national press including The Independent and The Guardian. Synopsis: In this talk, Jonny will explore a variety of autonomy-related visions, supported by examples of original Seymourpowell concepts. 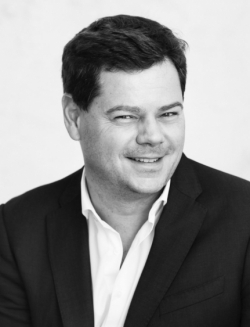 Seymourpowell has experience designing all modes of transport, and it is this bandwidth of knowledge that allows the company to understand how the automotive industry can leverage valuable knowledge from the aviation business to unlock the full potential of autonomous vehicles. Alongside this, the presentation will discuss how AVs have the potential to recalibrate our relationship with a vehicle, from questioning how we define the thrill of driving, to challenging our definition of a ‘commute,’ right through to providing a new paradigm of public retail spaces. Synopsis: The Future Automotive Cockpit & Storage (FACS) project aims at the design, development and demonstration of a new architecture and new modules for the interior of professional vehicles (LCV/van type), seeking to anticipate the evolutionary trend of the automotive industry toward autonomous vehicles, as well as the opportunities that this evolution brings to the interiors of commercial vehicles. It is expected that the interior redesign of professional vehicles will evolve significantly in its configuration, meeting not only the transportation needs of occupants, cargo and equipment, but also other needs and uses (such as working, communicating, eating and resting) arising from the free time provided by the operation of the autonomous vehicles. Biography: Josef is a professor of cognitive and engineering psychology at TU Chemnitz. His current research projects are on electromobility, man-machine interaction, usability and user experience, advanced driver assistance systems and highly automated driving. The interior changes with automation – what about the exterior? Synopsis: With automation, the interior of the car will change: no controls, windows as displays, etc. Will the exterior change as well? Do we need more signals in traffic in order to recognize highly automated cars? What HMI has been proposed and what is actually needed to meet road users' requirements? Do we have other means for communication between connected and non-connected traffic participants? The presentation gives answers to such questions and provides an insight into lessons learned from extensively testing vehicle2pedestrian communication. For example, we identify cues that indicate the intentions of highly automated vehicles (e.g. give way) to VRU. Biography: Alain is an autonomous vehicle testing and homologation expert at UTAC-CERAM, France	and also at the VEDECOM research institute. From 2015-2018 he led the French automobile working group for testing/homologation of autonomous vehicles. In 2014 he wrote the French roadmap for autonomous vehicle safety and was Renault research safety leader. He managed some Renault end-to-end innovation projects from 2006 to 2013 at Renault Research, including tele-diagnosis, connected car services, stolen vehicle tracking, EV smart charging and smartphone software. He acquired considerable automobile experience from 1990 to 2006 at Renault Engineering. Synopsis: The presentation will cover: HMI and driver monitoring UN-ECE ADAS and AD regulation and standardization review; HMI and driver monitoring Euro NCAP review and gradings for SAE Level 2 vehicles; HMI and driver monitoring Euro NCAP working group for SAE Level 3 vehicles; external HMI – regulation review, BRAVE project example with GRAIL external HMI; UTAC new CAV proving grounds TEQMO and digital official tracks and scenarios. UTAC CERAM is a worldwide reference in testing and homologation, and an accredited lab for Euro NCAP tests and for French type approval tests. Biography: Patrice is currently leading a worldwide innovation team based in Europe and the USA. The team is in charge of the identification, evaluation and early-stage development of disruptive innovations in the area of intuitive driving, which covers the perimeter of vehicle automation, connectivity and extended HMI. Patrice has been with Valeo for 22 years, with responsibilities in customer project management, generic R&D projects and worldwide advanced development tasks. He obtained his Engineering degree from Ecole Centrale de Lyon in France and from the Darmstadt Technical University in Germany. He also has an MSc in Management Sciences from the University of Manchester, School of Management. XR – the new automotive UX? Synopsis: We will explore the use of XR/VR/AR in cars and make a comparison of selected concepts and use cases. The presentation will then discuss VoyageXR, the virtual passenger experience platform. This will include VoyageXR integration and the use of 4G and 5G, plus the impact this will have on future AV interiors. 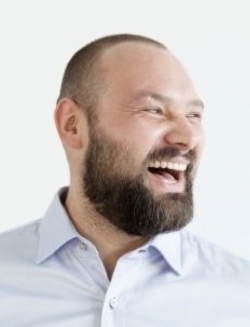 Biography: Dr Niklas Strand received his MSc in Psychology with a specialization in Engineering Psychology in 2008 from Luleå University of Technology. In 2014 he received his PhD in Human-Technology Design from Chalmers University of Technology. Since 2008 he has been with VTI, the Swedish National Road and Transport Research Institute, in the driver and vehicle division within the traffic and road users department. 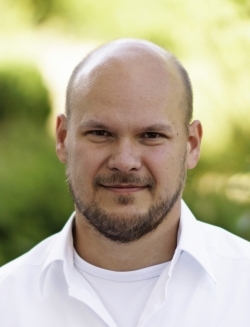 Niklas's research interests include HMI, human factors, automated driving, ITS and driver behavior. Synopsis: The presentation will provide an overview of the H2020 project 'Bridging gaps for the adoption of automated vehicles' (BRAVE) with a special focus on HMI and testing activities carried out within the project.